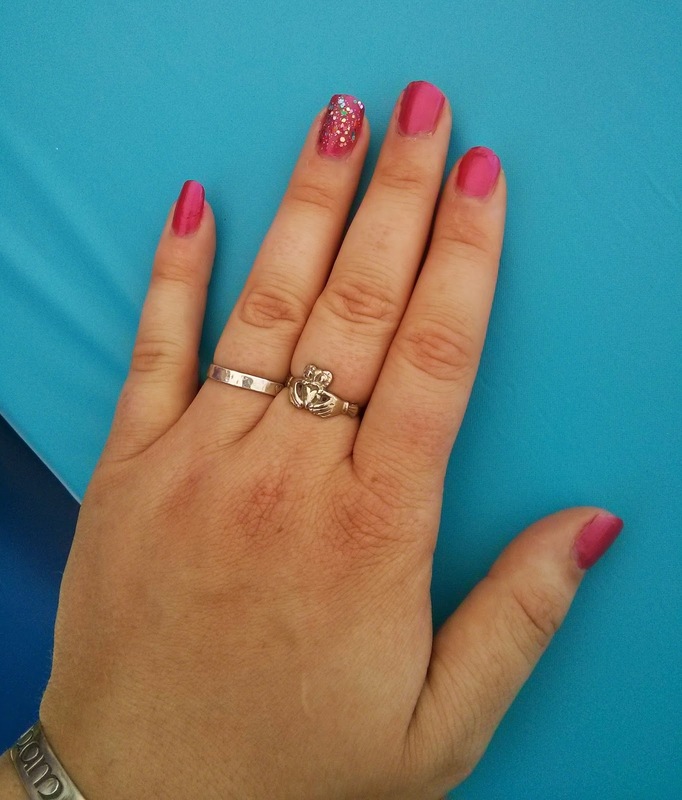 The main reason that I went to Niagara Falls this past weekend was to attend Gridlock Lacquer's Mini Mani Event! 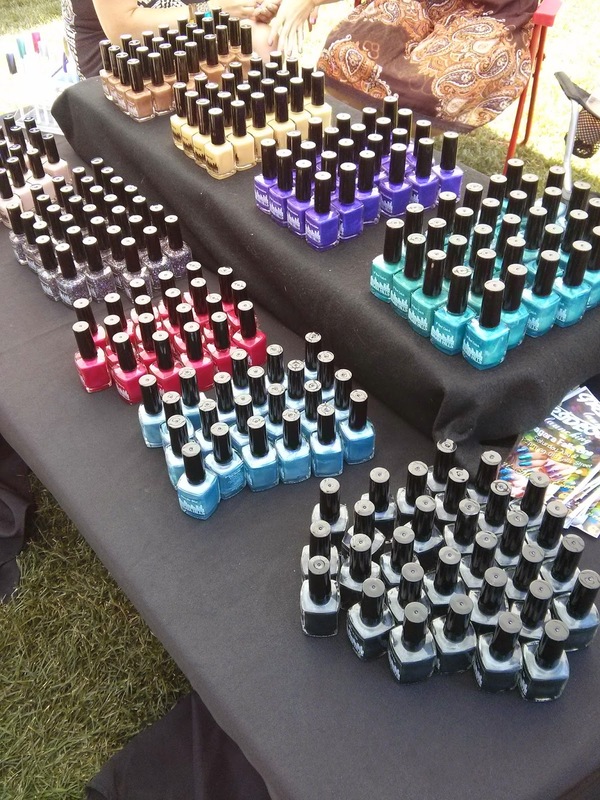 Gridlock Lacquer is a newer indie nail polish brand originating out of Buffalo, NY. The brand launched their new Niagara Falls Collection July 12th at their Mini Mani Event on Old Falls Street in Niagara Falls. All of the polishes in this collection are inspired by various places and attractions in Niagara Falls, so it would make an excellent souvenir for any tourists visiting the city! 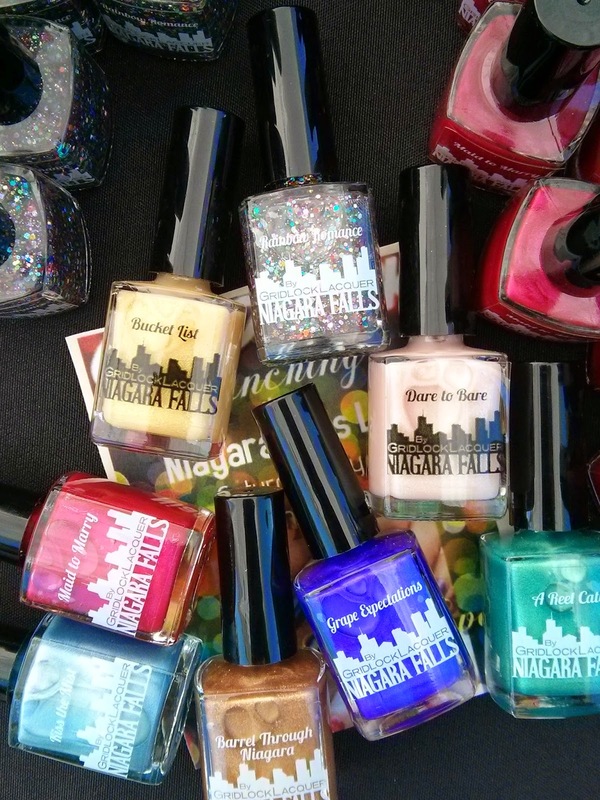 The Niagara Falls Collection includes 9 polishes, which I'll be swatching & reviewing for you shortly! :) The event was held on Old Falls Street, which is the home of a ton of free events. 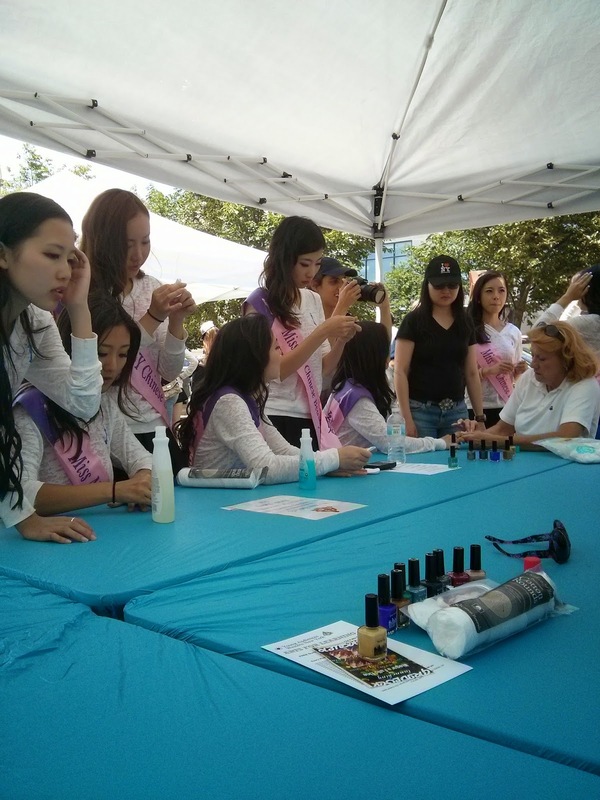 There were volunteers giving free mini manis (polish removal & application). 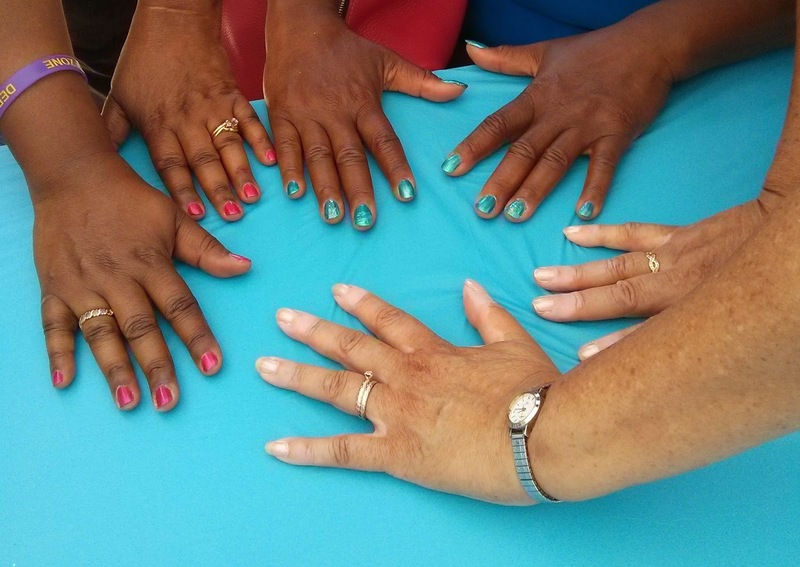 There was no charge for this manis, but any donations were given to the YWCA of the Tonawandas. 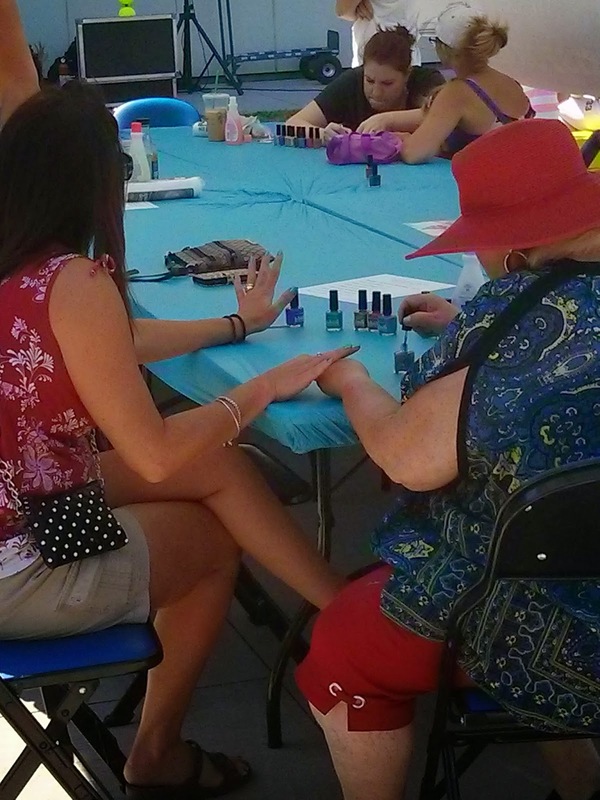 There were many girls of all ages coming from manicures - mother-daughters, sisters, friends, coworkers! Ali from Ali's Dancing Phalanges gave me my manicure - thanks girl! The contestants in the Miss NY Chinese Beauty Pageant stopped by the event while on their press tour! 3 sisters getting their nails done! Gridlock Lacquer "Rainbow Romance" - the glitter in the collection! The event was a ton of fun, and I loved being able to meet a few other bloggers and Lisa, the owner of Gridlock Lacquer. Watch out for my full review of the Niagara Falls Collection this coming week. Have you tried any polishes from Gridlock Lacquer before? Can't wait to see the polish! All that pretty nail polish!!! What a great even this must have been!! Can't wait to see the swatches of the polishes in the collection! Isn't the collection gorgeous!? So excited to play with all of the shades! It was so nice meeting you and doing your nails, Laura! I hope you enjoyed your stay in the Falls!! Ohh, I need to add these to my "must bring back from Buffalo" list! I have never heard of Gridlock Lacquer before but that looked fun! I know lol they were SO pretty! I had a great time! It's not actually mine, I was taking pictures of other people's manis at the event :) But I do have a similar ring that Dylan gave me a few years ago!